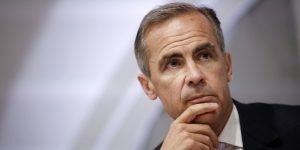 Mark Carney faced questions from MPs on the Treasury Select Committee this week, and defended the Bank of England’s stance ahead of the Brexit vote after criticism of his handling of the referendum outcome and the Bank’s decision to cut interest rates to a record low of 0.25%. Carney told MPs that he felt the Bank took “timely, comprehensive and concrete” action and that he was “absolutely serene” regarding his position, which he feels has been validated since the June 23 referendum. There were also concerns raised that many mortgage lenders are yet to pass on the full cut in interest rates, Mr Carney said the Bank expected “virtually” all the rate cut to be passed on to borrowers in the next few months.